Today I am going to tell you about a great store, that can be a little pricey, but has so much to offer, especially for this store you have probably seen in malls, it's called Zara. 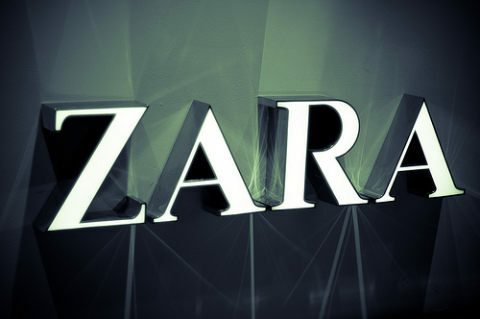 Zara has a lot of classy and business type clothes, as well as casual pieces. I personally love their sundresses that they have available right now, as well as their very cute bathing suits. Me and my roommate Steph always check out Urban Outfitters. Not only do they sell their popular clothing line, but they also feature music, photos, contests, and their very own blog-- which I personally think is awesome! They have a sale section which is reasonable, and offer free shipping on orders over $50! It's definitely worth checking out, whether you want to shop for yourself or simply check out their awesome blog! So my sister just introduced me to this new online website called Goldyn. It features numerous designers, with a wide variety of products. The merchandise on this website are not necessarily cheap but they do have a Sale section and offer free shipping and exchanges, which I think is awesome! Shipping can sometimes cause your order to significantly go up, so I LOVE websites that offer free shipping 24/7, no matter how much or how little you buy. Click the logo and enjoy this lovely website! Shop at Gilt, without Feeling Guilty! Guilt is another online site that features designer products at discount prices (my favorite, as you all know by now.) It feautures different brands throughout the day with incredible sales. I have not yet purchased from them, but plan to as soon as I get my next paycheck! If it's anything like the other designer sites I've listed, then it will be fabulous. So join Guilt now & check it out! Great Makeup at an Even Better Price! I've been looking for some new makeup and tools, specifically brushes, but haven't been happy with the prices for any of the things I need. That's when I decided to do some research on the internet, where I found this website called Elf! 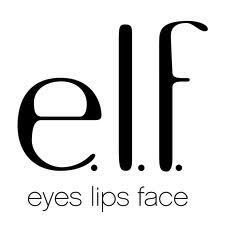 Elf features super cheap products, some for just $1, that are fabulous! I bought a ton of stuff (a total of 11 products) for only $33! They even gave me free shipping, which they offer when you spend $25 or more! The site has a number of promotions, featuring a new one almost every day! So go ahead and check it out! Click the logo above to go directly to this site! I thought it would be great to let you all know that Express has a great sale going on right now!! They have sparkley shorts on sale for $19.99, formal dresses, work attire, sweaters and nice shirts too! I love Express but usually I don't always shop because it can be a little pricey on a college students budget. But besides the sale items they also just got in a lot new stuff for the spring season! They have so many colorful jeans which is a great trend for spring, at only $79.99.